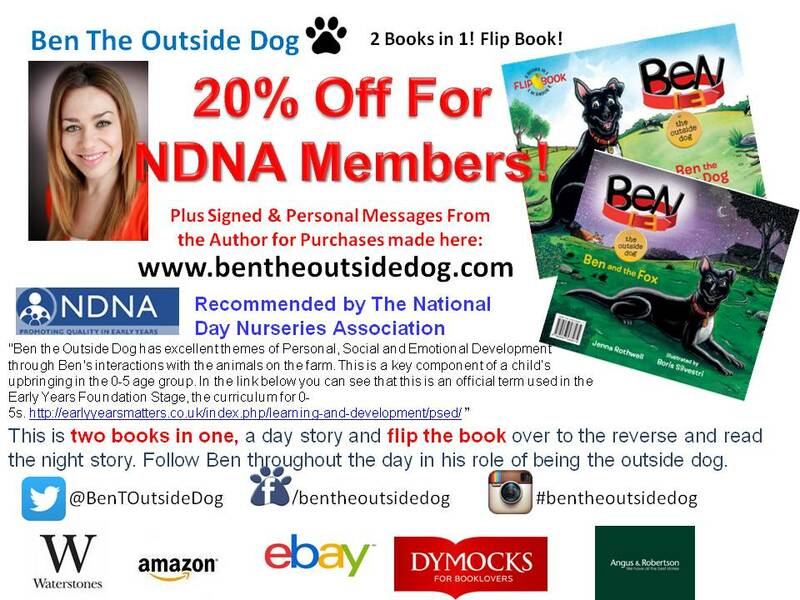 **CHRISTMAS OFFER - 40% OFF** my book, Ben The Outside Dog. Huzzah! It'll make a lovely Christmas Stocking Filler! 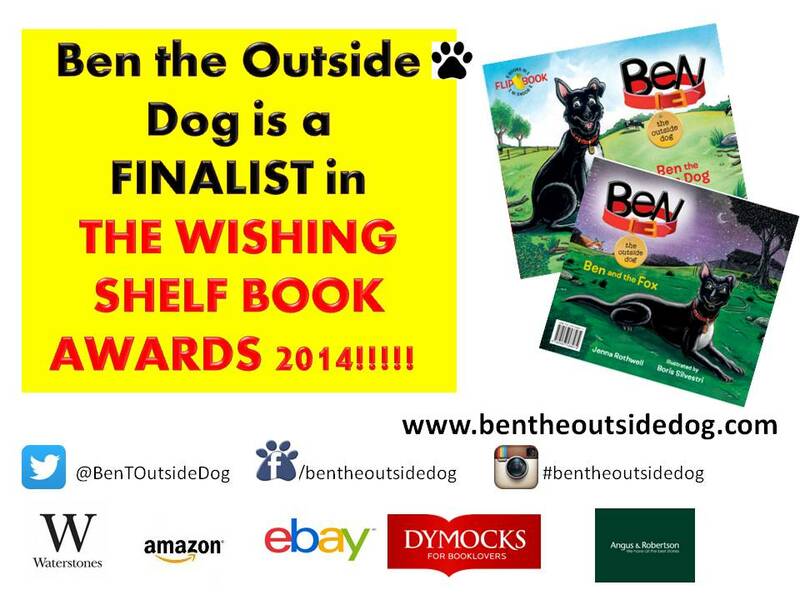 Buy your signed copy of 'Ben The Outside Dog' today here! We hope to see you on a Minnie adventure soon! Guess who came???... World Book Day 2015!! 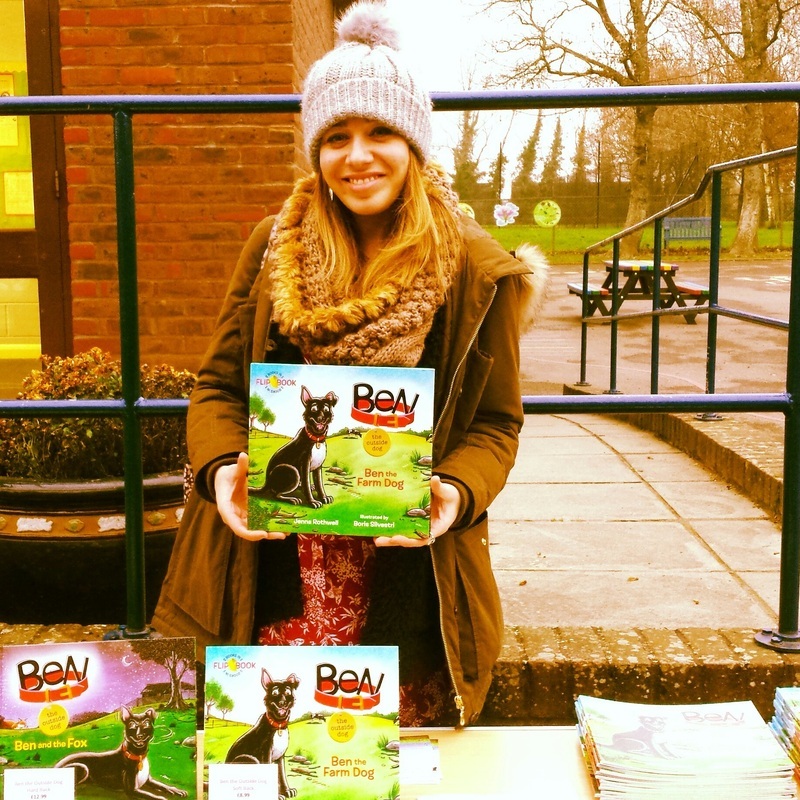 A delightful 2 days of Workshops for World Book Day at The Hyde School last week! 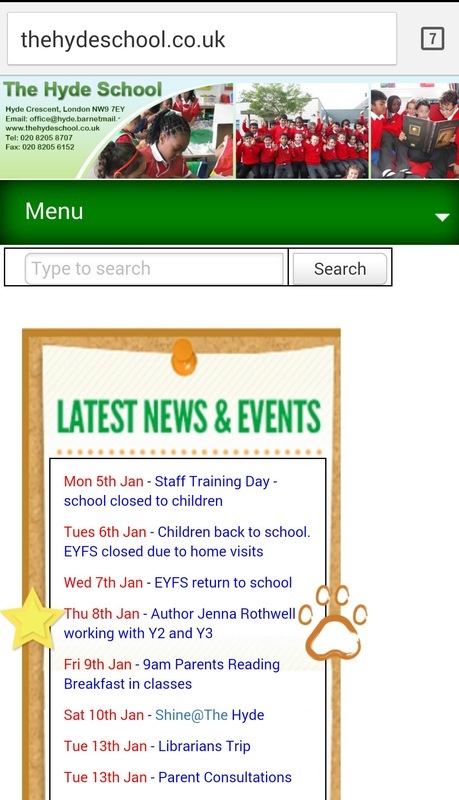 6 Class workshops and a full assembly session! 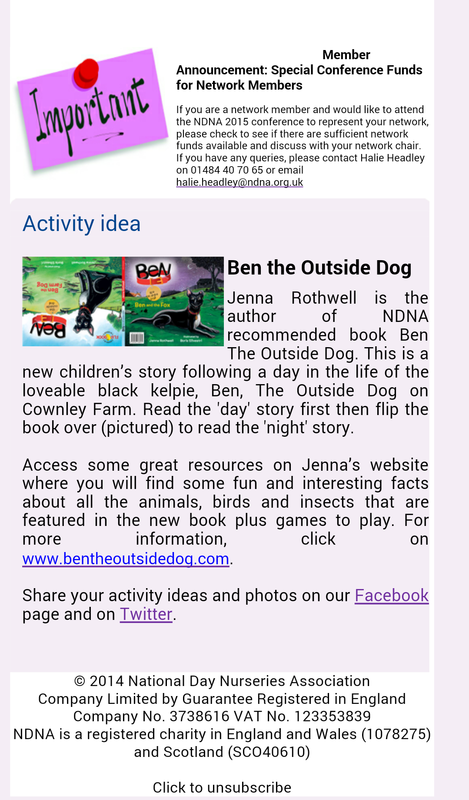 Ben and Jenna were busy working dogs! 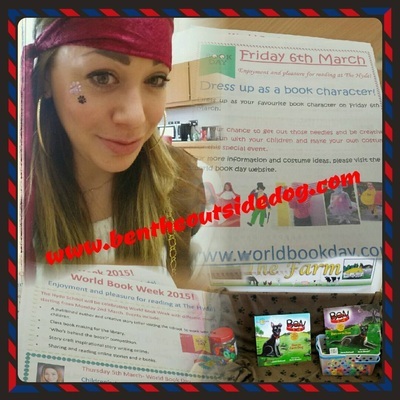 Friday was dress as your favourite book character day for World Book Day and it was wonderful to see all the amazing costumes kids turned up in! Some went to great lengths - at The Hyde, a fantastic costume was Paddington Bear where the boy had the whole get-up - including a marmalade sandwich in his hat! And at another school - a previous school I have visited a boy turned up as Ben The Outside Dog! Oh my! Could not be more chuffed. 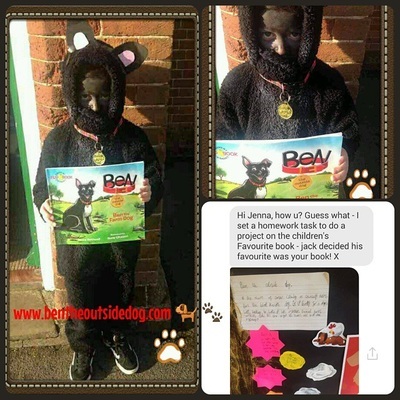 Not only had he decided my Book, Ben the Outside Dog was his FAVOURITE Book for a school project (Amazing! ) - he also dressed up as Ben for #WorldBookDay at school on Friday!!! 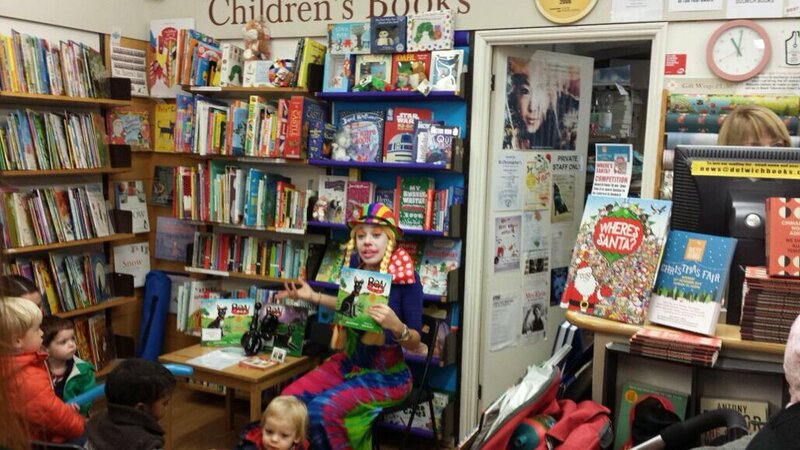 And I do believe in an absolute BRILLIANT costume! 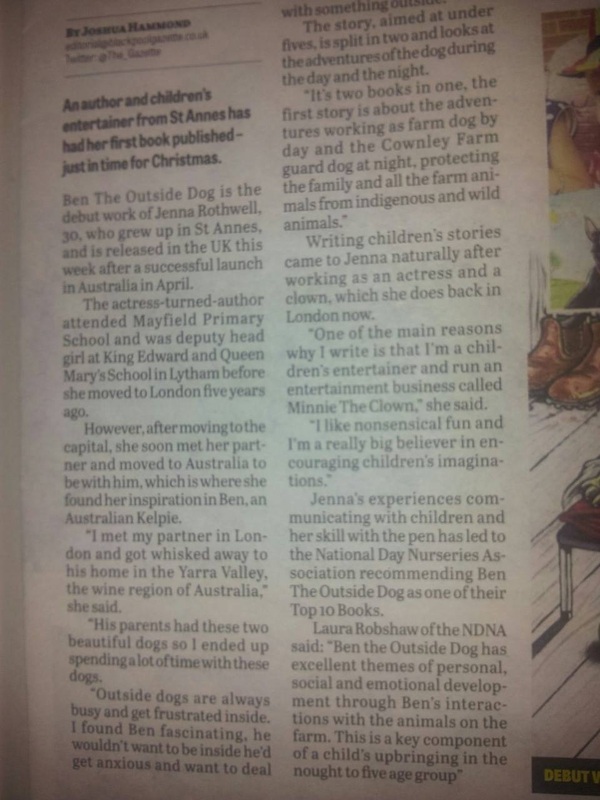 Ben and Jenna are Super Proud! Absolutely loved doing the workshops - seeing children inspired and excited about writing and reading is just wonderful. 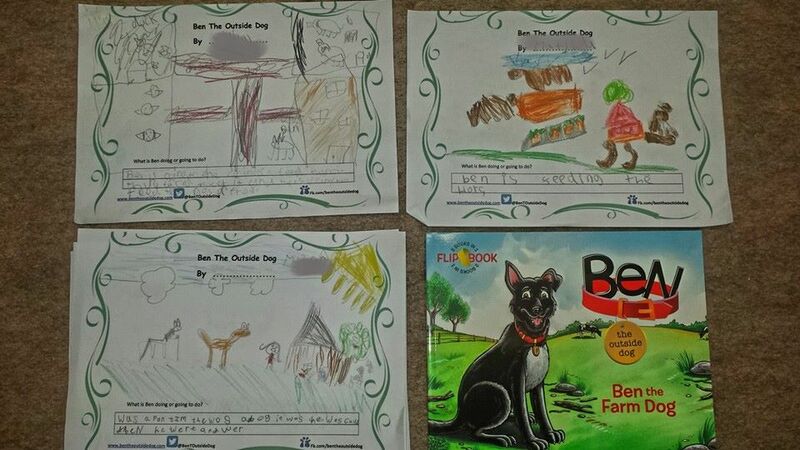 I ran a competition for both days where the children were asked to draw their own story of Ben The Outside Dog, like a page in a book with a sentence describing the events underneath. 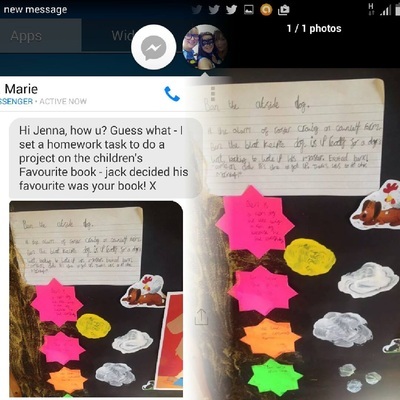 The best picture was to win a copy of my book and a certificate! 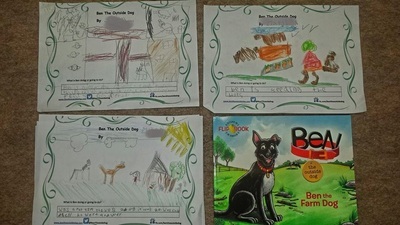 There were some brilliant, imaginative pictures - I will post them soon for you have to a look at! 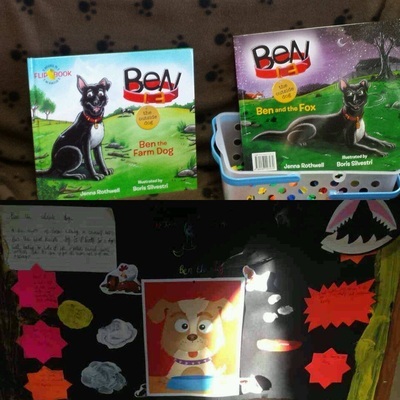 I reckon there are definitely a few budding Authors at The Hyde! I came out feeling inspired so I hope the kids did too! 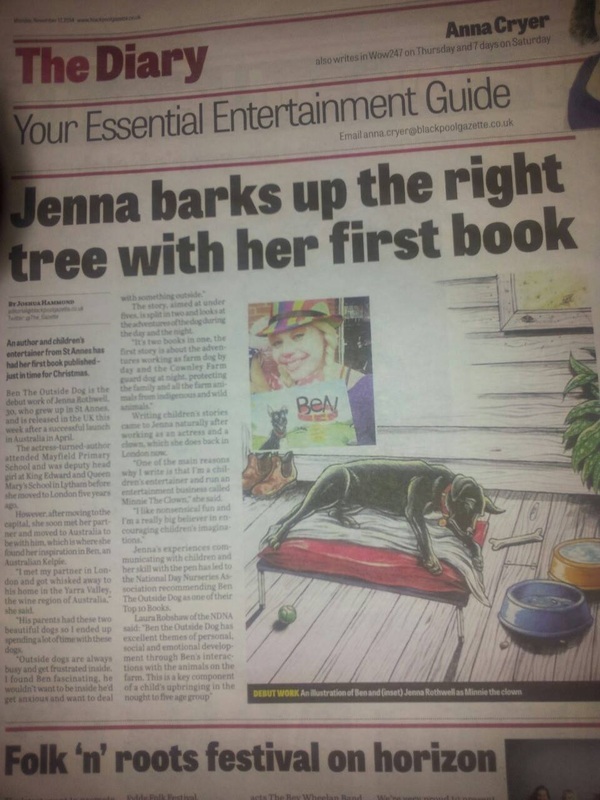 Lovely Article in The Blackpool Gazette on my Book!